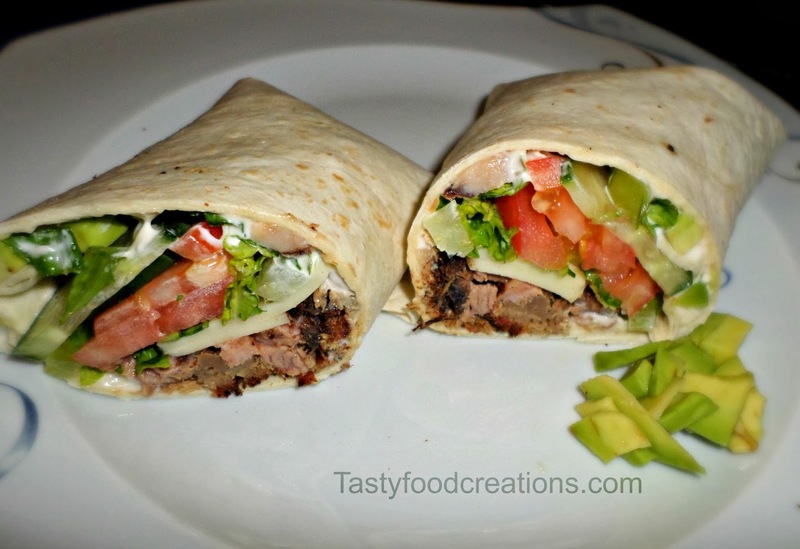 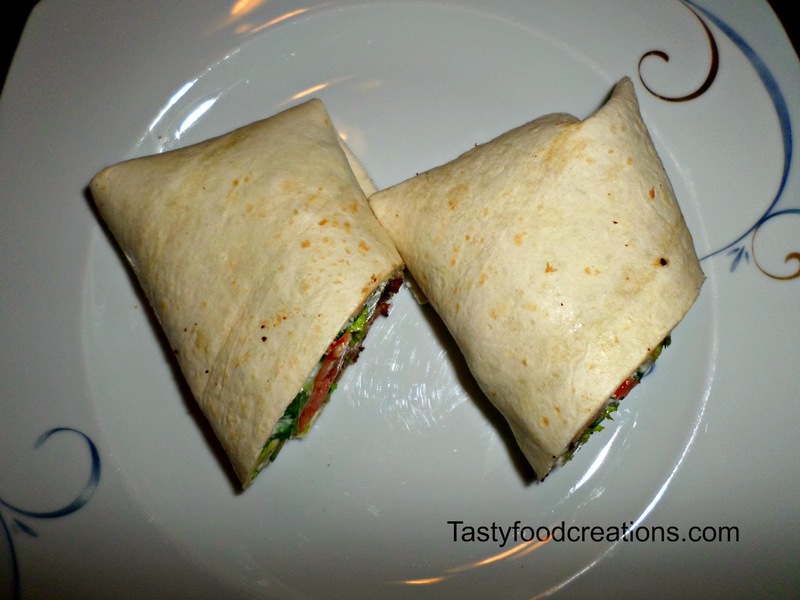 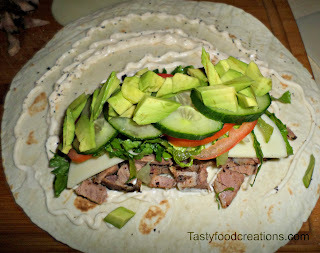 Sandwich Wrap is a type of sandwich that is made with tortilla instead of bread. 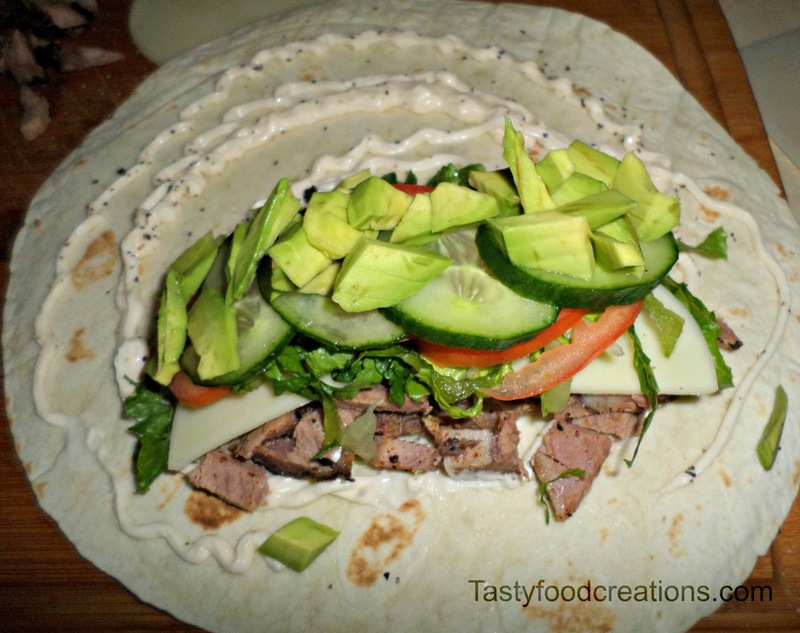 Healthier version of sandwich if you will. 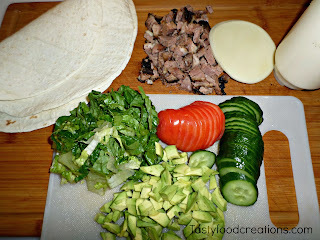 Just like sandwich, wrap can be made with big variety of different kinds of meats, vegetables and dressings. 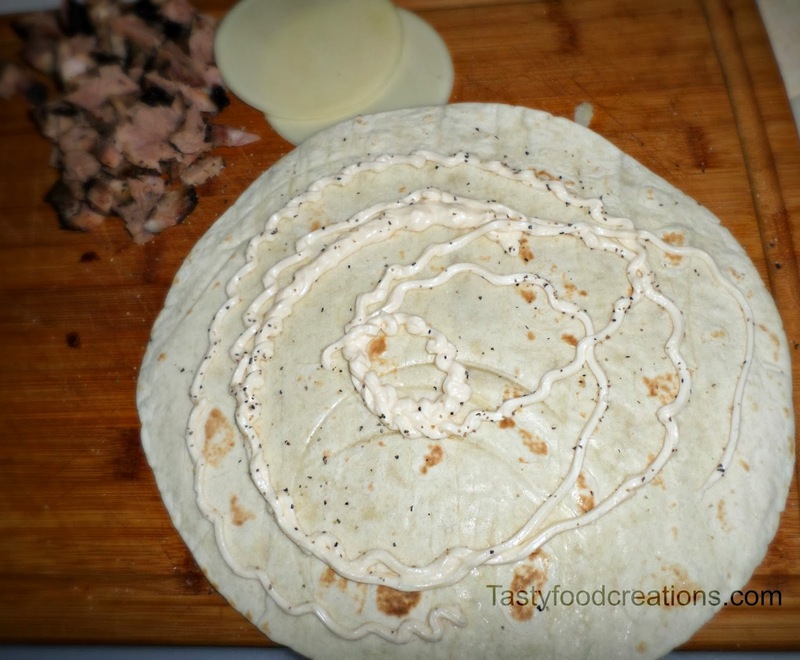 Spread mayo on tortilla, sprinkle with salt and pepper. 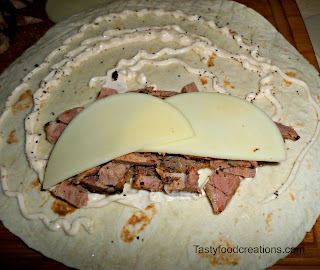 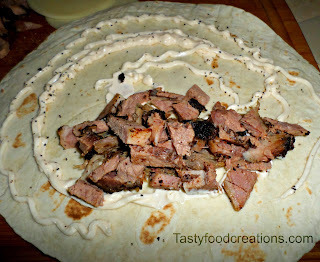 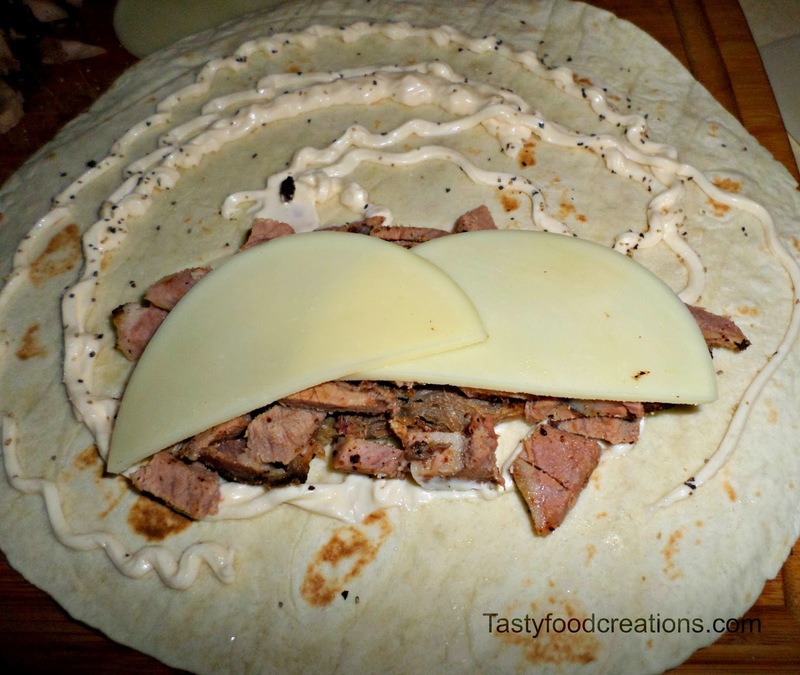 Add meat over mayo on one half of tortilla close to center. Add lettuce, tomatoes, cucumbers, and avocado. 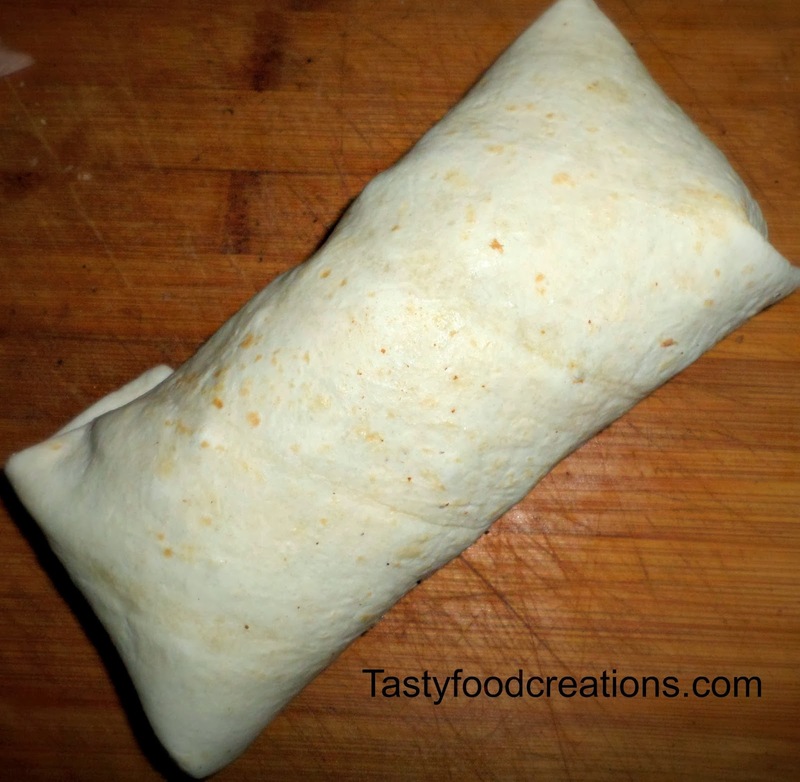 Fold in sides, and roll up from the side where meat and veggies are.